Service You Can Count on From a Name You Trust. 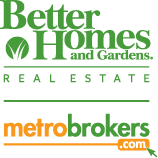 Better Homes and Gardens Real Estate Metro Brokers is the nation's leading lifestyle brand for the real estate industry, as well as Atlanta's largest full-service real estate brokerage with multiple offices across Metro Atlanta and North Georgia. As a REALTOR with BHGRE Metro Brokers, I offer my clients the most comprehensive services (real estate, mortgage, insurance and closing services) while using state of the art marketing and technology strategies. Before starting your home search, it’s important to know exactly how much you will be pre-qualified to spend. This will help you narrow down which house you want and give you peace of mind when it comes to making an offer. 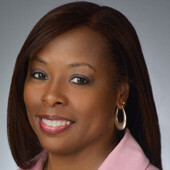 Contact Metro Brokers Financial at 404.847.2525 or visit their website for Atlanta mortgage info. Metro Brokers holds the largest open house event in metro Atlanta every month. Visit one of our open houses on Super Sunday (second Sunday of every month) and register for our monthly $1,000 giveaway! Metro Brokers has awarded over $50,000 so far! Will you be next? Metro Brokers makes the entire home buying process both easy and enjoyable from start to finish. I now understand what ‘Premium Service’ truly means! Internet advertising is extremely important today, so I was impressed when Metro Brokers featured my home on more than a dozen major real estate websites.